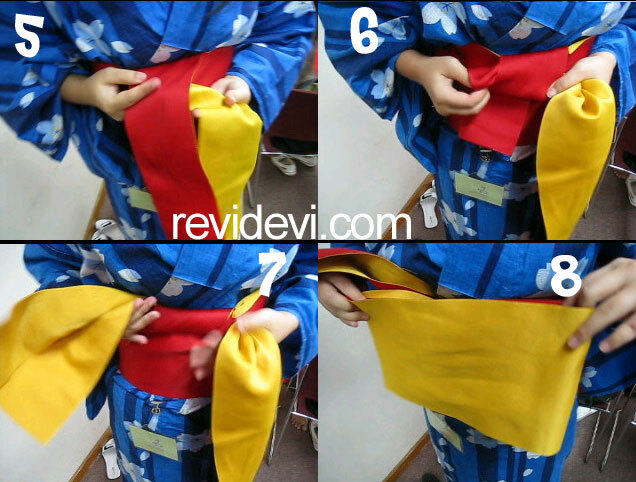 o today I learn how to tie obi/sash One of the girl in my “chado” class (chado=the way of tea) is very kind to teach me how to do this. I will tell you later about my chado class. I’ve been in this class since last month. I have learned a little bit about japanese tea ceremony. 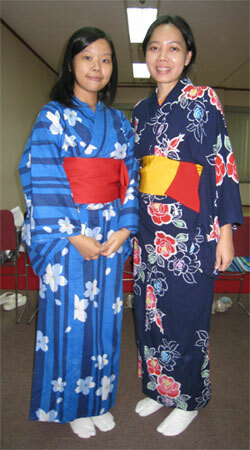 And today, I wear my yukata again (yukata= a simple version of kimono). Click! 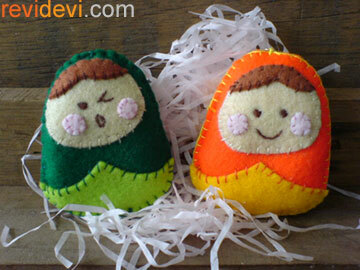 (I’m the one with the yellow obi). 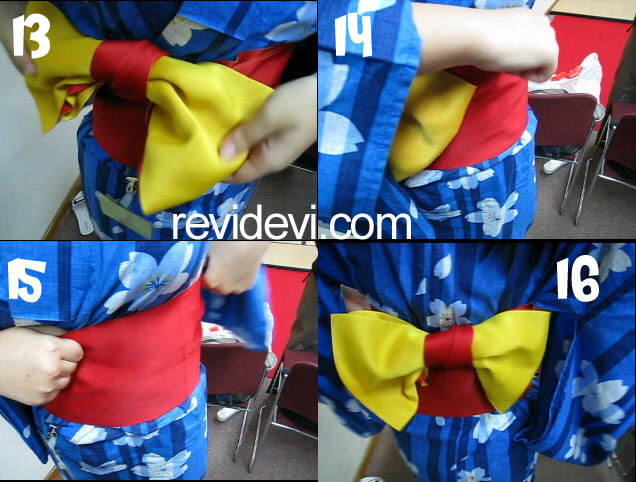 I love her obi because it has 2 colors (red & yellow). 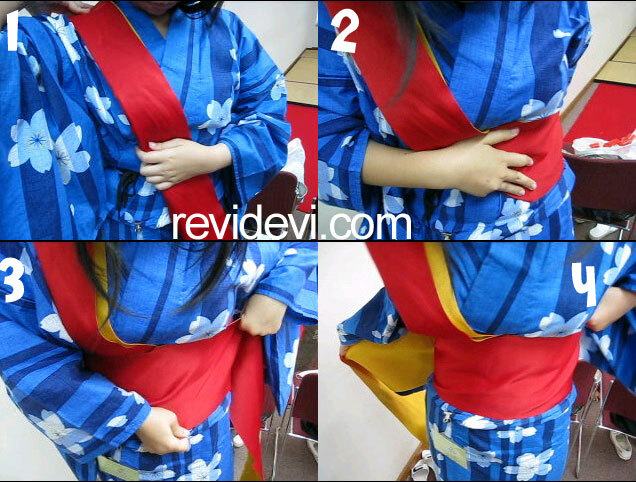 So when you have 2 colours, you can play around with your obi, and do several variations. The lenght of her obi is about 3 meters. 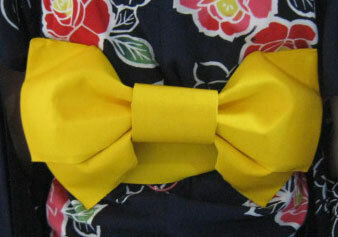 And the yellow one, is my obi. 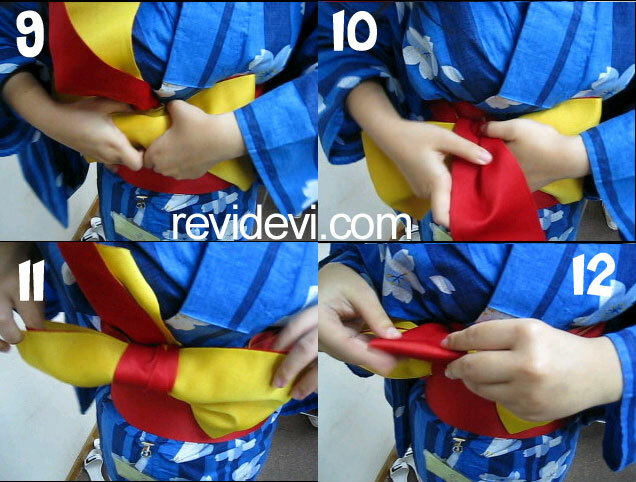 It is actually a “ready-to-wear” obi, means I don’t have to fold the obi (to make a shape of ribbon). 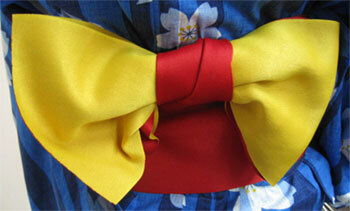 I only need to attach it to the sash. Just that simple! 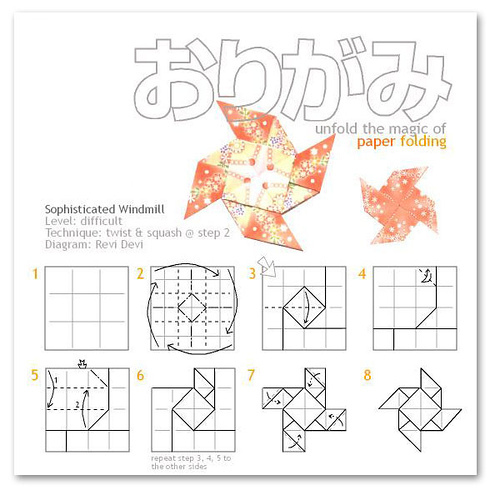 That’s way I’m not so good at this thing (obi folding). So these are the steps. It’s not so difficult actually. 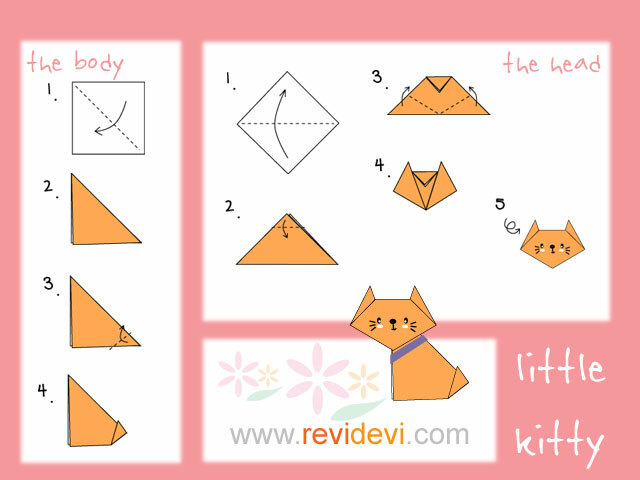 Easy to make!! 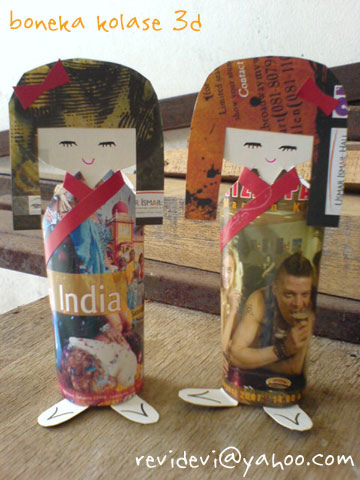 & you don’t have to buy expensive materials to make these dolls. 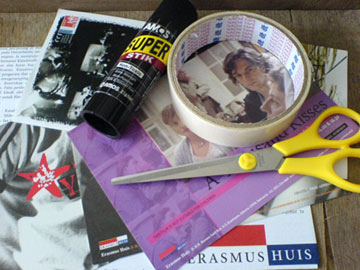 You will only need scissor, glue (I use white PVAc), and some old postcards. 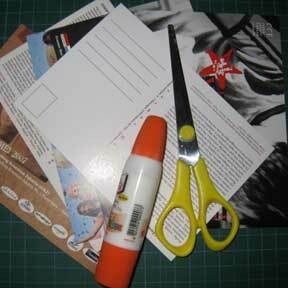 I use old poscards, but you can also use other papers (from old publication, flyers, etc). So, prepare all those stuff. 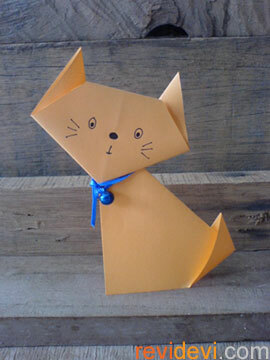 Step 1: cut the paper (make body shape). Also make 2 rectangulars (these are for the sleeves). 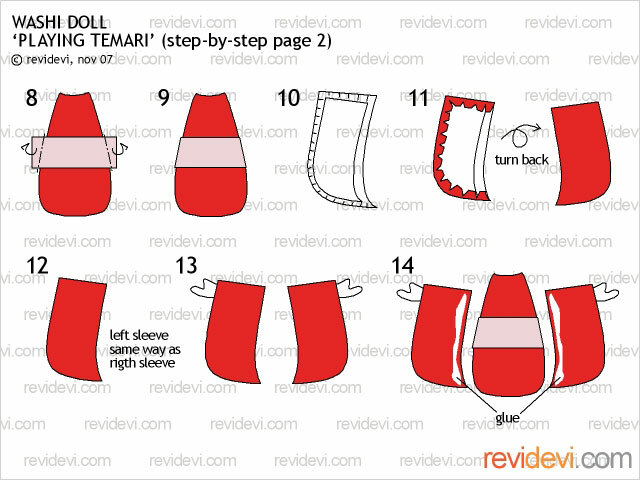 Step 2: make a curve on each sleeve. 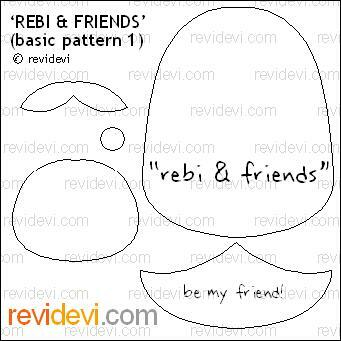 And then, make the head (more like an oval). 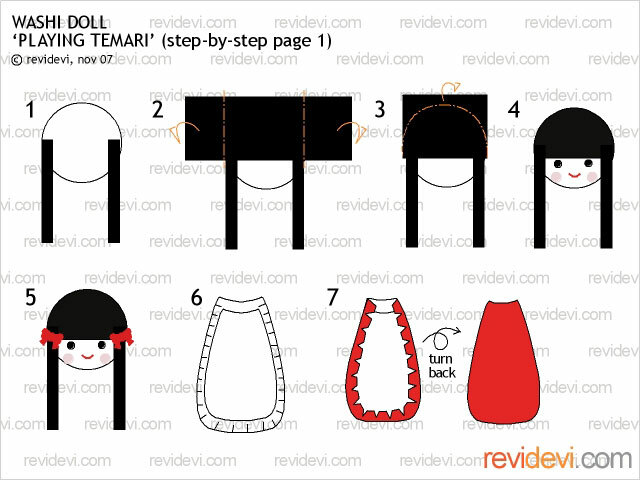 Step 3: make hair shape. When you cut the hair, put first the oval head above the hair paper. So you know how big should the hair is. Step 4: Now all pieces are completed. Time to join them together. Step 5: glue each sleeve on the back side of the body. Then put glue on the upper side of the body, then you can mount the head on the body. Step: mount the hair onto the head. Voila! 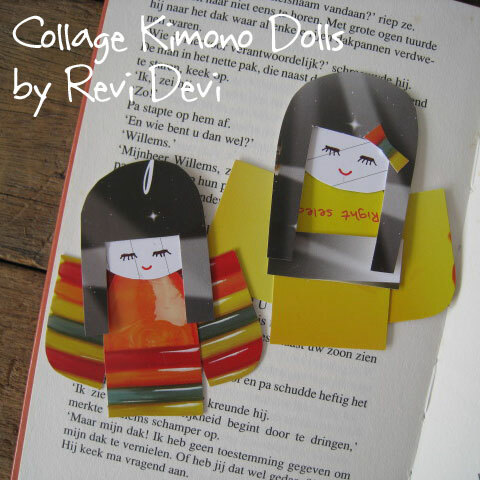 Now you have collage kimono doll! 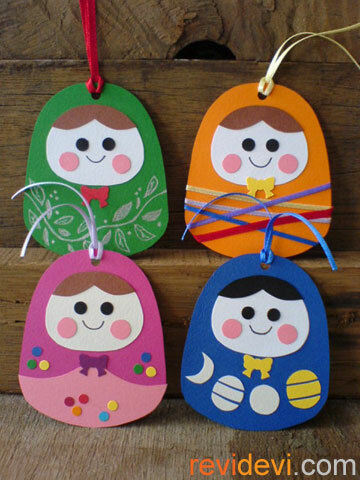 Let’s make washi doll!! 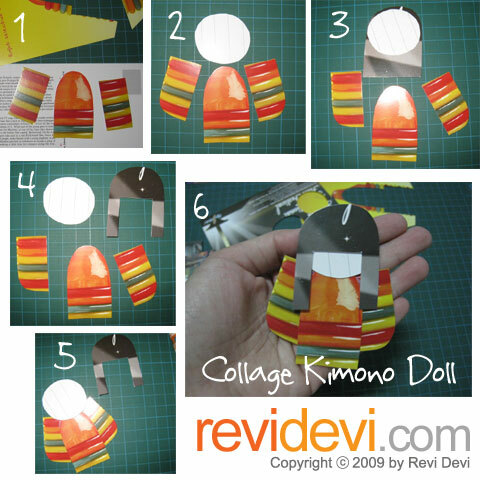 Fun to do, and the doll looks pretty You can mount your doll onto a cardstock, and you’ll have a uniqe gift card! It will create a dimensional effect. Just mount the cotton/foam to the cardboard. 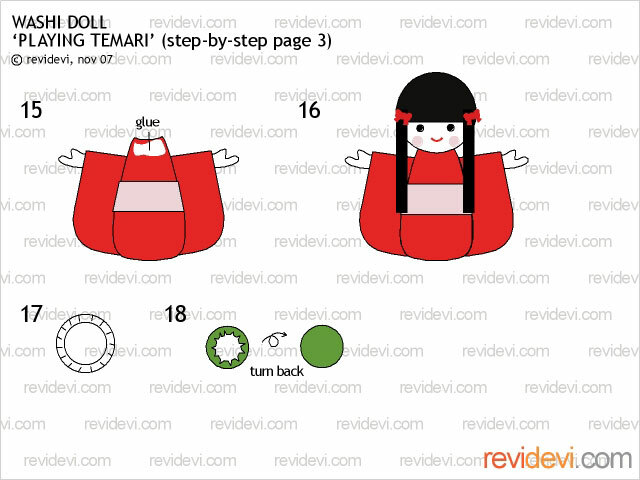 Temari is a japanese folk game. The word literally means ‘hand’ (te) and ‘ball’ (mari). 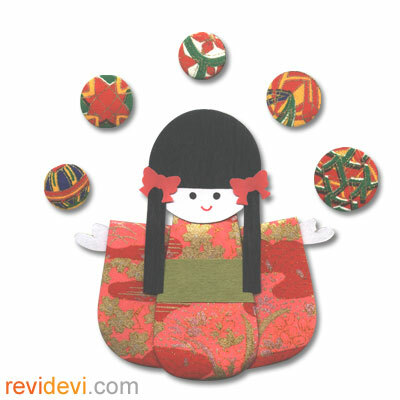 It is an ancient japanese folk art dating back more than 500 years. Quick and easy to make. You can teach this model to kids.